I’ve been waiting for this from Australian director Cate Shortland; A horror movie premise that is imbued with the knotty emotional complexity of a dysfunctional relationship psychodrama. 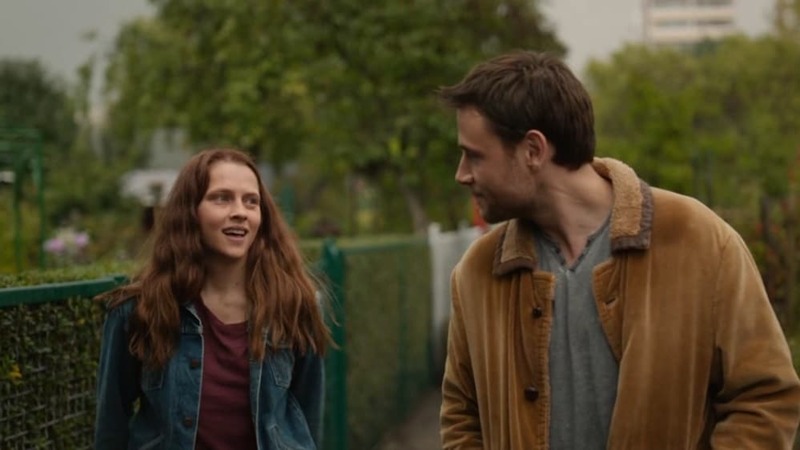 Berlin Syndrome is adapted from the acclaimed debut novel by Melanie Joosten about Clare (Teresa Palmer), a young Australian photographer travelling in Berlin who meets, and immediately connects with, Andi (Max Riemelt) a native Berliner she encounters on the street. But the relationship takes a darker turn when, after one thrilling night together, Clare finds herself locked in his apartment. Films dealing with female imprisonment tend to take one of two approaches: either a straight-up horror film, or a psychological drama in the vein of Lenny Abrahamson’s: Room. Berlin Syndrome as with Room, is a story that, possesses a complex central relationship, in addition to having particular challenges. Not least of these is putting us inside the mind of a victim of Stockholm Syndrome who empathizes with – and even desires – her captor almost as much as she longs for escape. Crucial to this is establishing the potent initial attraction between Clare and Andi. Tactile camerawork glances over skin and fleeting touches, the score pulses in anticipation as Clare reaches behind her to hold Andi’s hands. We are left in no doubt of the powerful connection between the two. Deft visual motifs foreshadow Clare’s eventual fate – browsing on a secondhand stall, her image is caught in two mirrors, the frames evoking the bars on the door of her eventual prison. Her fascination with GDR architecture almost subliminally elicits ideas of walls and the restriction of movement. Talking about a Gustav Klimt painting that they both admire, Clare murmurs that the model is ‘hiding her deformed hand,’ little knowing that just a few days later she will be nursing her own damaged fingers. Palmer’s performance is low-key. Clare is softly spoken and introverted, sometimes to the point of inaudibility; her camera is a barrier between her and the world. Her inhibitions gradually peel away as she realises that even if she does scream, there is nobody around to hear her. As Andi, Riemelt is more problematic. The initial warmth gives way to a cold, overbearing snittiness which makes it harder for the audience to sympathize with Clare’s emotional turmoil. The suggestion that Andi has unresolved issues with abandonment by his mother is touched upon but thankfully not belabored. The film’s main issue lay is its conclusion which requires a little-seen character to make a huge leap of faith and logic, and act in a way that it is, at the very least, highly unlikely. Considering the movie is over 2 hours long long, makes me wonder of the necessity of some scenes in the film. This a shame as the story would have benefited from more insight into Andi’s technique of abduction beyond deliberately mispronouncing words that endear him to his potential victims. This undermines an otherwise satisfyingly taut drama.